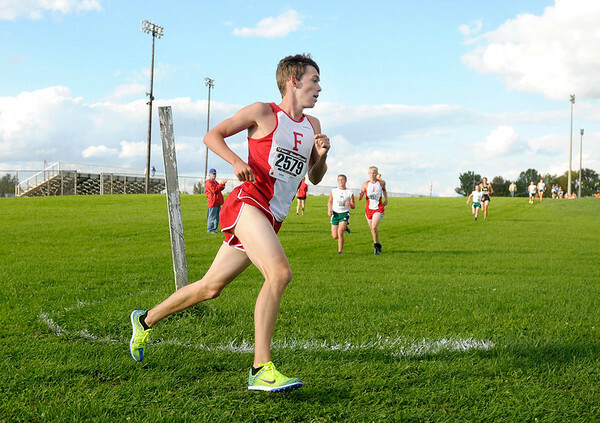 Frankton won the boys team title and Pendleton Heights captured the girls team championship Tuesday at Pendleton Heights. Frankton's Dylan Doan rounds a turn during the Madison County Cross Country meet at Pendleton Heights on Tuesday. Frankton runners took five of the top six spots.